While summer heat waves continue to roll in, consumers who want to enjoy the nice weather will likely be going through many tubes of sunscreen to protect against sun exposure. However, applying sunscreen at commonly used levels may do less than previously thought. In a recent study, researchers from King’s College London found that the typical application of sunscreen provides only 40 percent of the protection that consumers might expect. The findings indicate that consumers should be more generous with their sunscreen application and use higher SPF products to block the sun’s harmful rays. The researchers came to their conclusions after conducting a cohort study comprised of 16 fair-skinned individuals. The participants were divided into two groups of three women and five men each, with one group experiencing a single exposure to UV light and the other being exposed for five consecutive days. Each group applied varying levels of sunscreen to test its effectiveness. The findings revealed that participants who were exposed to more UV light suffered considerable DNA damage to areas of their skin that were not protected by sunscreen. The damage was reduced slightly when sunscreen was applied at recommended levels of thickness over the skin (0.75 mg/cm2). However, the damage was reduced significantly – even at higher UV levels -- when application was increased to thickness levels of 2 mg/cm2. This finding suggests that consumers would do well to go beyond manufacturers’ recommendations when it comes to sunscreen application. 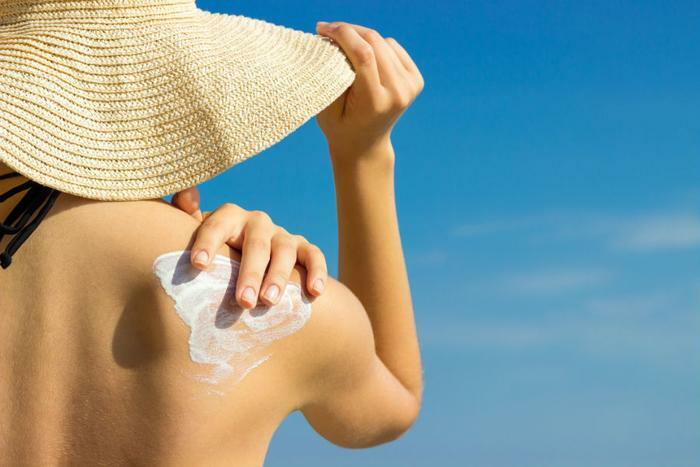 The researchers say that using products that have higher SPF levels can further increase protection from the sun. “Given that most people don’t use sunscreens as tested by manufacturers, it’s better for people to use a much higher SPF than they think is necessary,” said Young. Nina Goad, a member of the British Association of Dermatologists, confirmed that using higher SPF sunscreen products will reduce damage caused by sun exposure. However, she says that consumers shouldn’t rely on sunscreens as their sole method of protection. “This research demonstrates why it’s so important to choose an SPF of 30 or more. In theory, an SPF of 15 should be sufficient, but we know that in real-world situations, we need the additional protection offered by a higher SPF,” she said. The full study has been published in the journal Acta Dermato Venereologica.